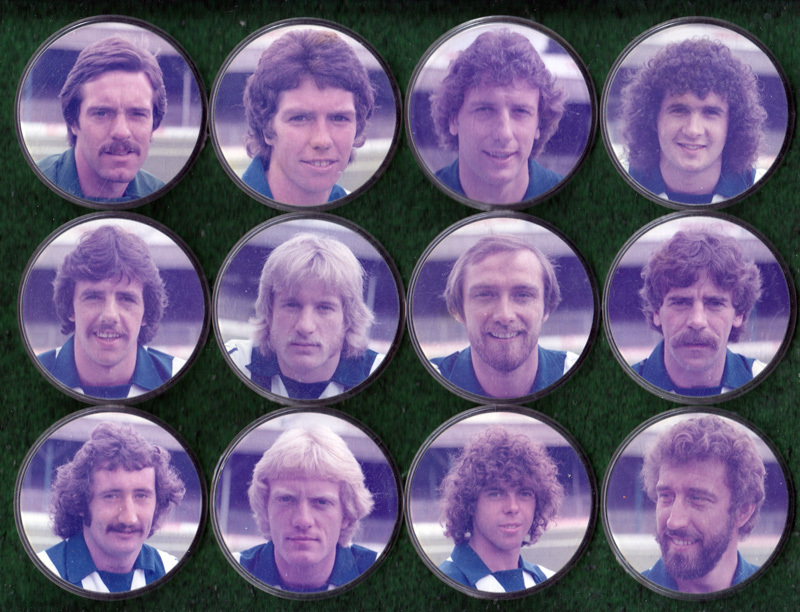 Making up a ‘plaster cast’, the photo illustrated how Chris Cattlin was down almost to a bare minimum of players from which to choose his team. 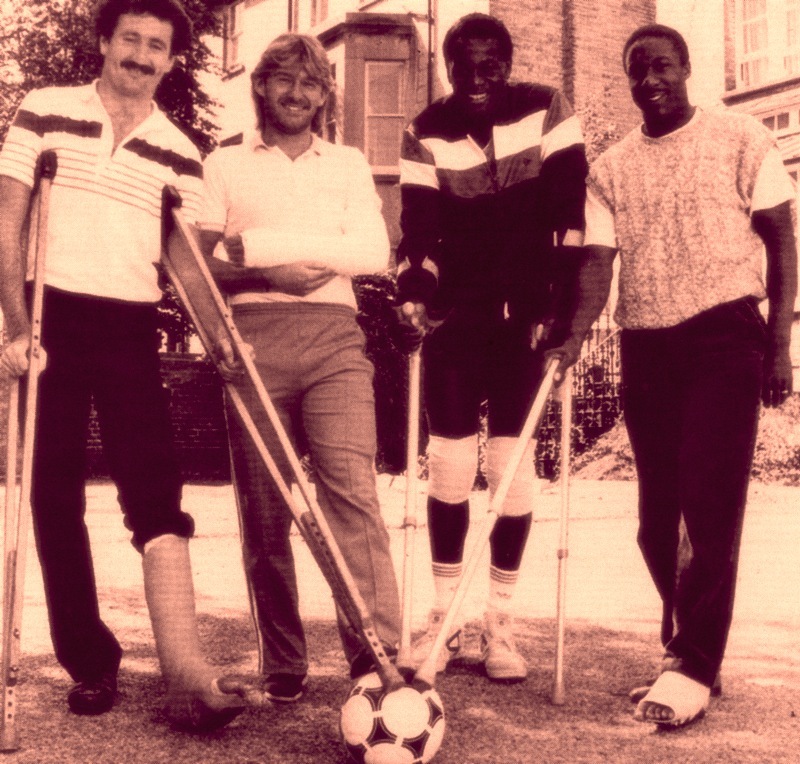 Ryan’s injury was caused by the terrible challenge by Crystal Palace’s Henry Hughton in the previous season. 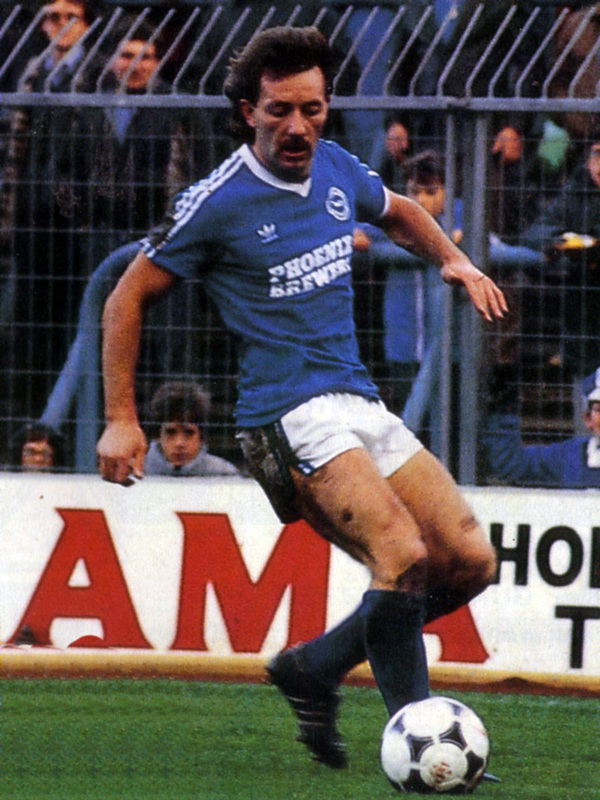 He never played for the Seagulls again and eventually had to retire, receiving a benefit match in August 1986. By contrast, Hutchings recovered by October, eventually making 29 League appearances, mainly as right-back. Even so, he was surprisingly dropped for the FA Cup Quarter-Final against Southampton in March, a decision that Cattlin readily admitted was a mistake, before being restored for the rest of the campaign. 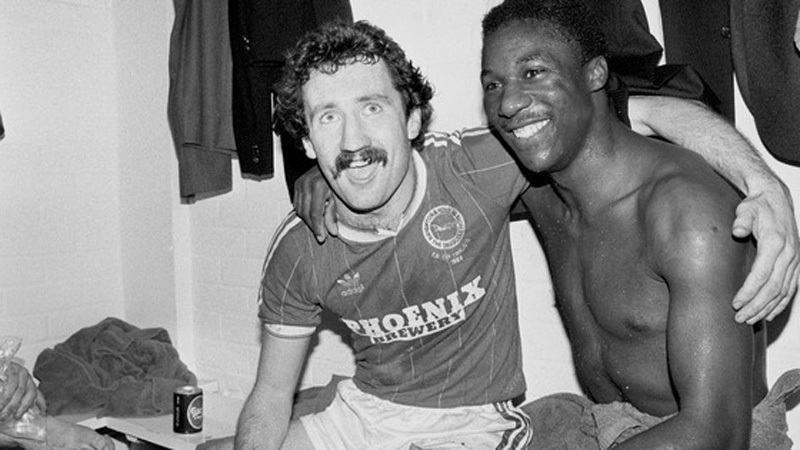 Fashanu also enjoyed an extended run after the controversial striker made his return in the 4-0 defeat by Liverpool in the Milk Cup at the end of October 1985. While never quite hitting the heights of form, he was ever-present in the number 9 shirt in December and January. His last game for the Seagulls was in the memorable FA Cup tie at Peterborough in February 1985 before he fell foul of recurrent knee injury problems. It was Connor, though, who made the biggest impact upon his return. He had limped off against his former side Leeds in the 1-0 home defeat at the start of September. 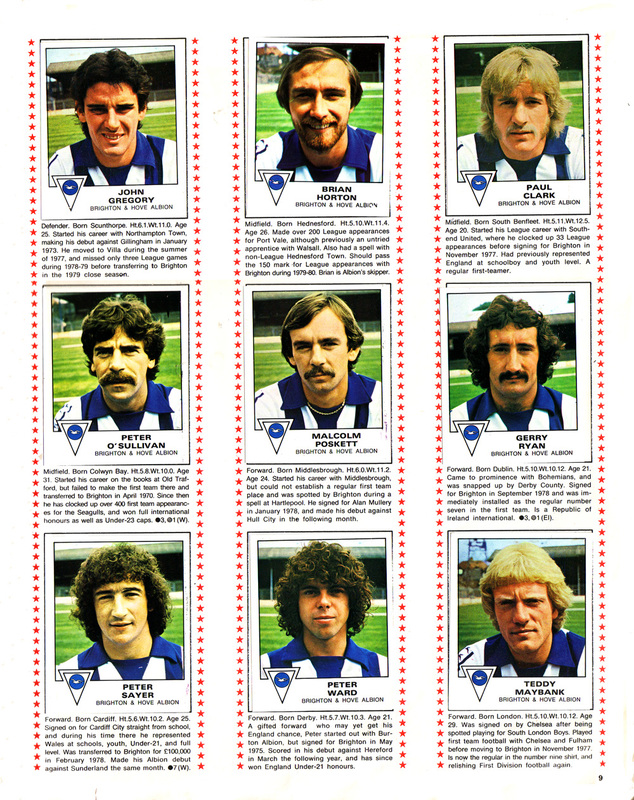 It took two months to recover and yet the centre-forward plundered a very creditable 14 goals in the rest of the season, one short of top scorer Dean Saunders. Brian Horton meticulously gathered together the contents of his kit bag for the most imporrant match of his life. Then, just as carefully, he made sure he had not forgotten the lucky charm that is his constant companion. A Sphinx, given to him while he was playing for Brighton in the Third Division, has not left his keyring since. Horton explains: “One of our supporters handed it to me, saying the Sphinx would bring me good luck, That night we played at Lincoln and Steve Piper, who was with me at the time, and myself each scored a goal.” So Horton, now doing the same inspiring captain’s job at Luton as he did with Brighton, was not without the key-ring when his team made the trip from the South  Coast to play Newcastle at St. James’ Park on May 5th, 1979. 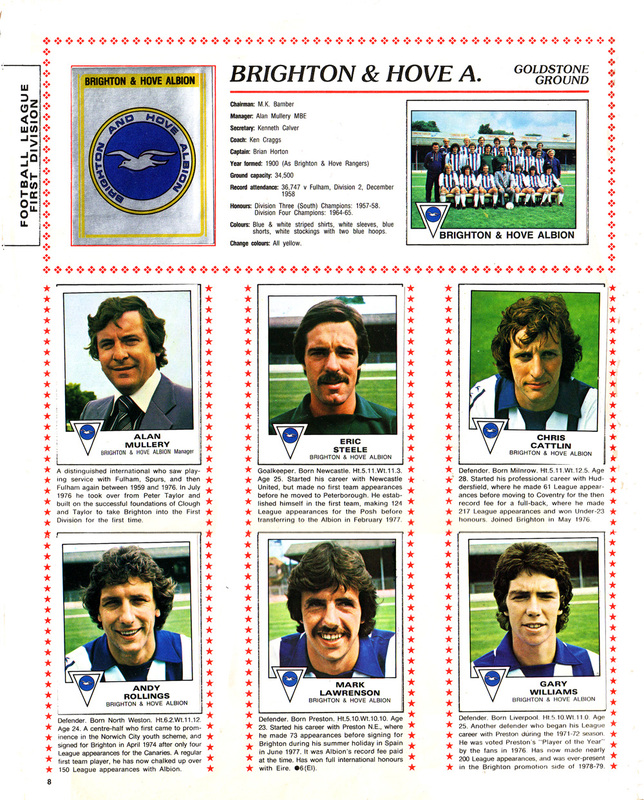 Brighton needed to win to be certain of gaining promotion to Division One for the first time. There could be few more daunting trips than to the heart of Geordieland. 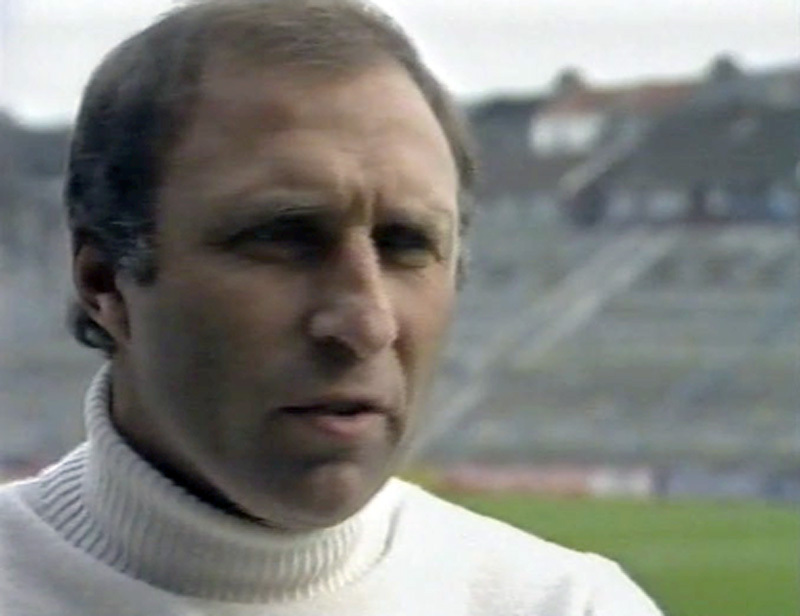 Horton, a tenacious midfield player, recalls: “We travelled to Newcastle by train on the Wednesday before the match, played golf on the Thursday and trained on Friday. 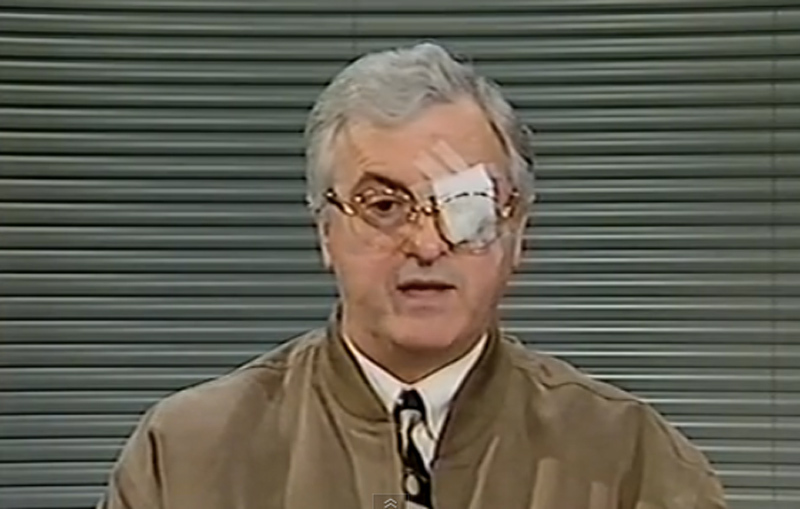 Alan Mullery, our manager, wanted to get us in as relaxed a frame of mind as possible. “I managed to score an early goal with a near-post header from a corner. When I think about it even now, I can almost feel the ball hitting my head. It is probably the most important goal I’ve ever scored and it gave us the perfect start. “Newcastle pulled one back in the second-half, but we’d done enough in our superb performance before the interval. We came home the same night and the champagne hardly stopped flowing all the way from Newcastle to Brighton. There were hundreds of fans on the train as well, so the atmosphere was marvellous. “When we arrived back at Brighton in the middle of the night there were thousands of people to greet us and there were memorable celebrations when we went round the town the next day.” Horton was a significant figure in Luton’s promotion last season. He says the two campaigns were different: “Everybody expected Luton to go up and we were clearly the best team. 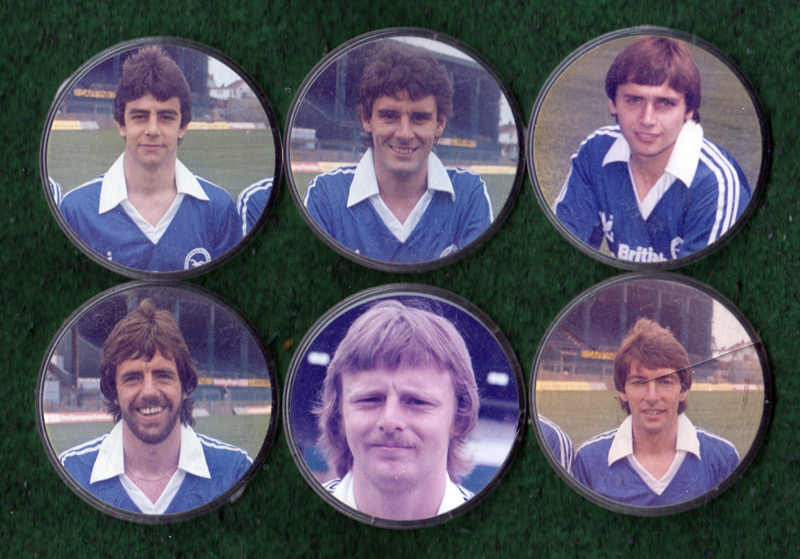 “But at Brighton, we’d missed out a couple of times in tight finishes and we realised that it was imperative we made it.” Horton received a Second Division Championship medal with Luton last season, but did not get any medal for leading Brighton to the First Division. Players from clubs finishing second or third do not receive any momento from the League. 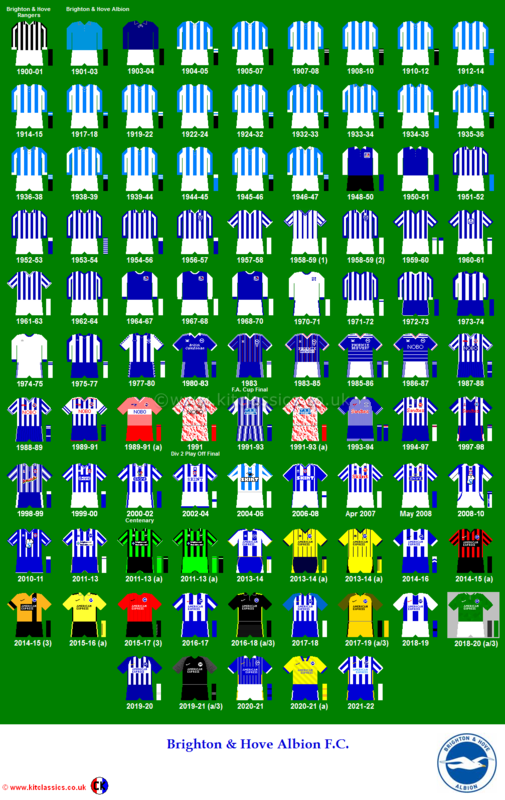 Horton still sees some members of the Brighton side that never failed to finish in the first four of either Division Three or Two in four successive seasons. Whenever he wants to recall that memorable day in May at Newcastle, he needs merely to insert the television recording in his video. 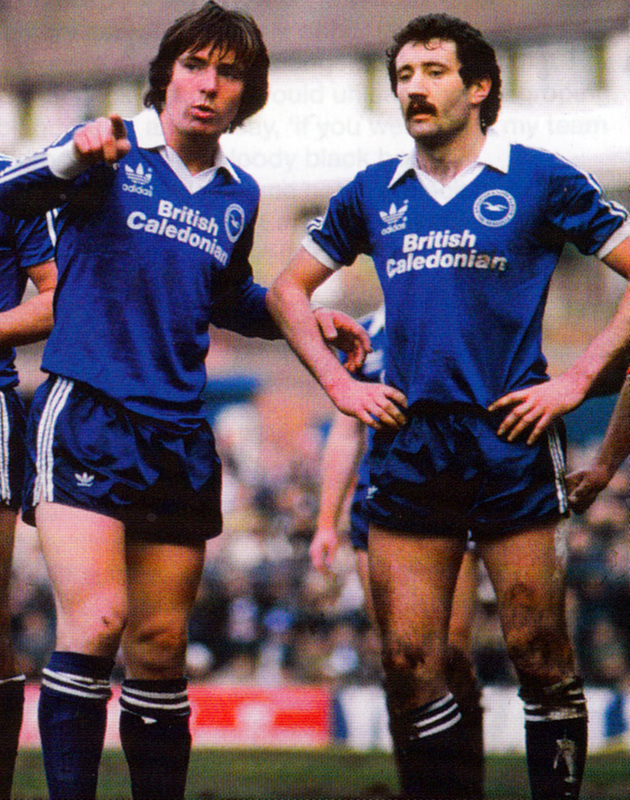 Brighton’s new winger Gerry Ryan hit two goals and lorded it over Fulham. Before the destruction, manager Alan Mullery made his Albion men sit through a film of their hammering last week at Crystal Palace. Fulham, with 12 points from their previous seven games, paraded their new signing £80,000 John Beck from Coventry. But it wasn’t their day. The first half riddled with frustrating back-passes, narrowly went to Brighton. 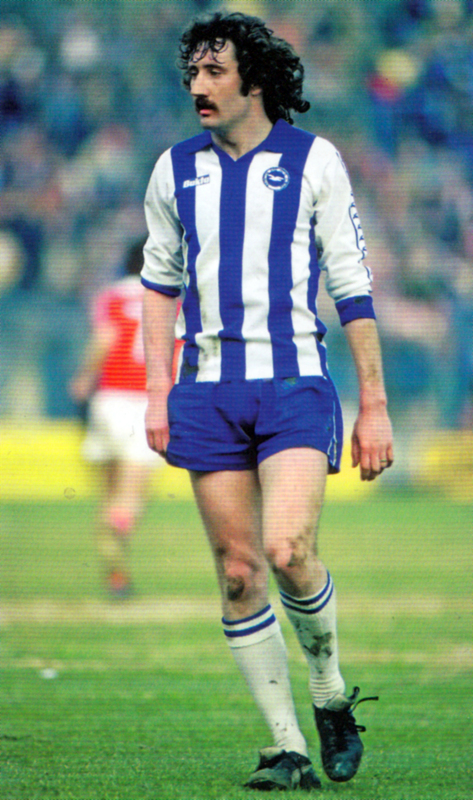 In front of a shirt-sleeved crowd, Brighton weathered Fulham’s early assaults and slowly got a grip in midfield where man-of-the-match Brian Horton dominated. Fulham seem capable of absorbing the pressure until an 18th minute moment of indecision by Peyton. Horton’s right-wing throw bounced in the box and as Peyton hesitated, Ryan hooked the ball into the empty net. Evans (dissent) and Beck (foul) were booked in the space of six minutes, shortly after the goal. Fulham rallied in the second half and Graham Moseley did well to hold a powerful Gale header at full stretch. But once again lose concentration cost Fulham dear. Evans fouled Ward and as Rollings curled in the free-kick, Horton burst between Gale and Money to bullet header wide of Peyton. Fulham had their chances – both falling to Davies. He did well to create space only to shoot wide. Horton reserved the best for last, whipping through a glorious ball in the 90th minute to release Ryan on the right. The Irishman sprinted into the area, seemed to take too long as he sidestepped defenders then coolly found Peyton’s bottom right-hand corner. The day’s big duel was between Rollings and Guthrie. 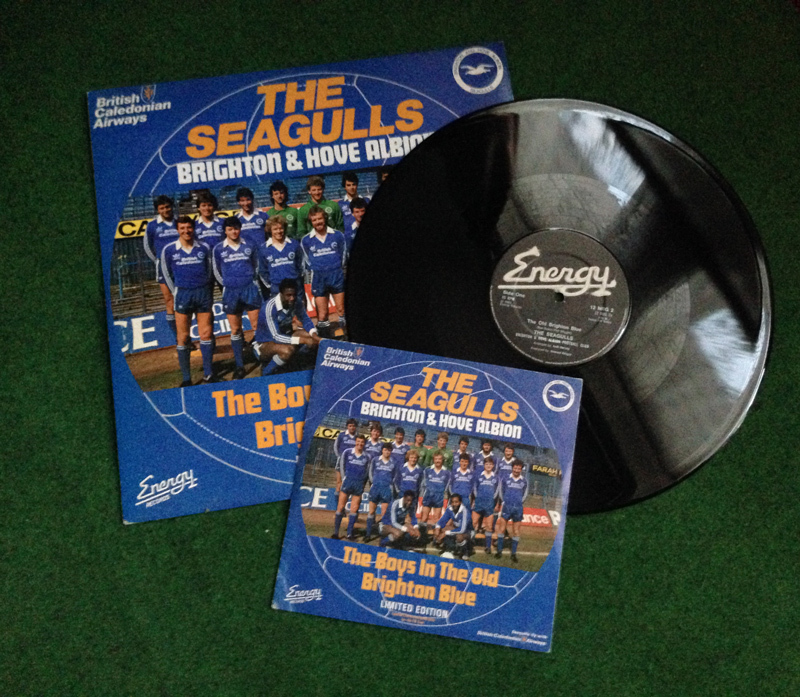 Rollings came out on top to help Brighton reach fourth spot in the Second Division. 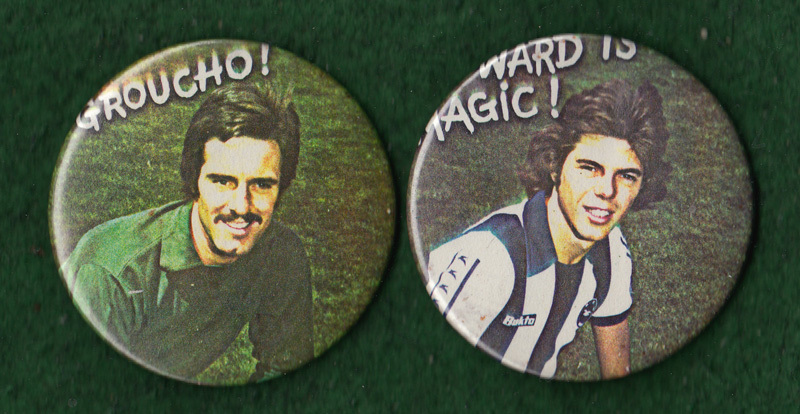 Ryan’s goals seemed to give Albion a more immediate return for their £80,000 spending than Fulham had for gaining John Beck for the same figure. 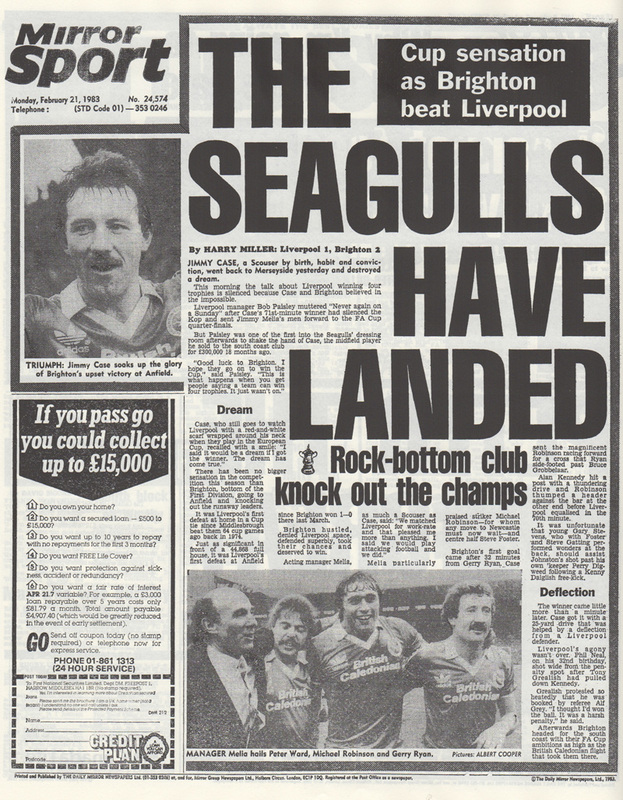 The Seagulls signing had scored in the previous month in the 5-1 slaughtering of Preston North End. By the end of the season, the Irish winger and midfielder had amassed 35 League appearances for his new side, scoring nine goals including the final one in the famous fixture at Newcastle. 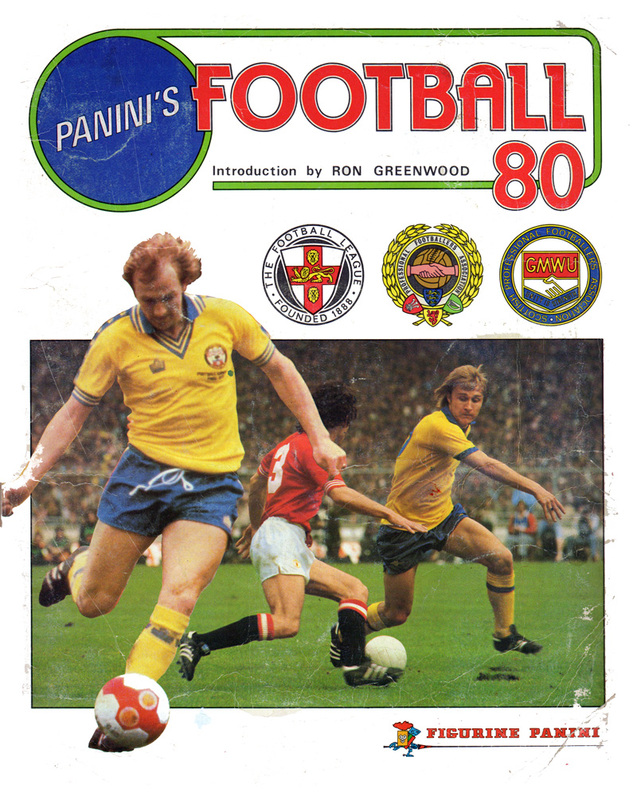 From this point on, Gerry Ryan developed a habit of getting notable goals in encounters with the best sides, such as the only goal in the famous victory against Nottingham Forest at the City Ground in November 1979, the winner against Arsenal in September 1983, not to mention those FA Cup goals against Liverpool in February 1983 and January 1984. Jimmy Case, a Scouser by birth, habit and conviction; went back to Merseyside yesterday and destroyed a dream. This morning the talk about Liverpool winning four trophies is silenced because Case and Brighton believed the impossible. Liverpool manager Bob Paisley muttered “Never again on a Sunday” after Case’s 71st-minute winner had silenced the Kop and sent Jimmy Melia’s men forward to the FA Cup quarter-finals. But Paisley was one of the first into the Seagulls’ dressing room afterwards to shake the hand of Case, the midfield player he sold to the south coast club for £300,000 18 months ago. There has been no bigger sensation in the competition this season than Brighton, bottom of the First Division, going to Anfield and knocking out the runaway leaders. It was Llverpoors first defeat at home in a Cup tie since Mlddlesbrough best them 64 cup games ago back in 1974. Just as significant in front of a 44,868 full house, it was Liverpool’s first defeat at Anfield since Brighton won 1-0 there last March. Brighton hustled, denied Liverpool space, defended superbly, took their chances and deserved to win. 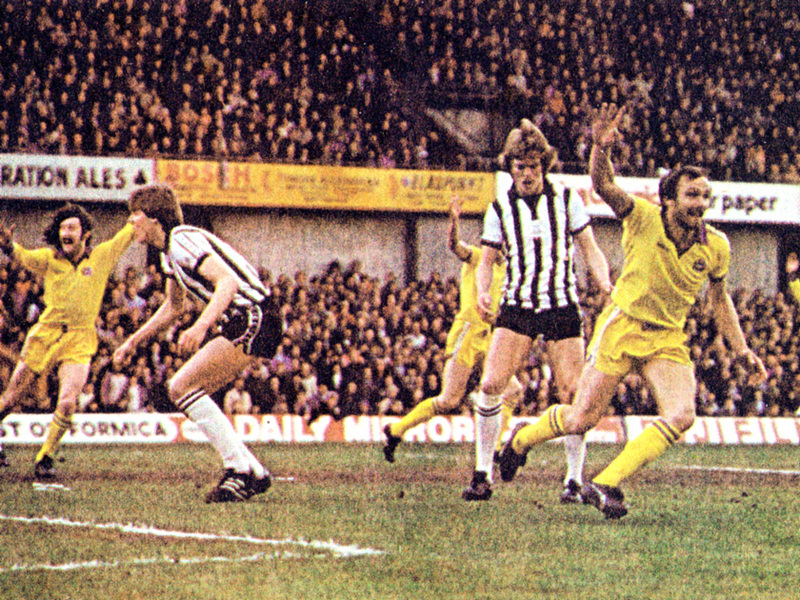 Mella particularly praised striker Michael Robinson – for whom any move to Newcastle must now walt – and centre half Steve Foster. 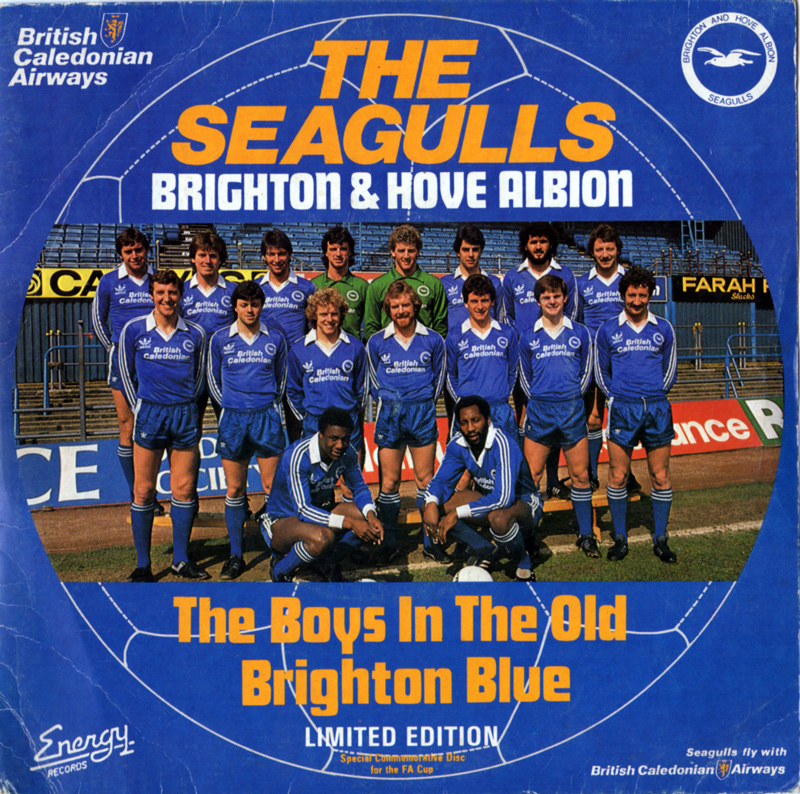 Brighton’s first goal came after 32 minutes from Gerry Ryan. 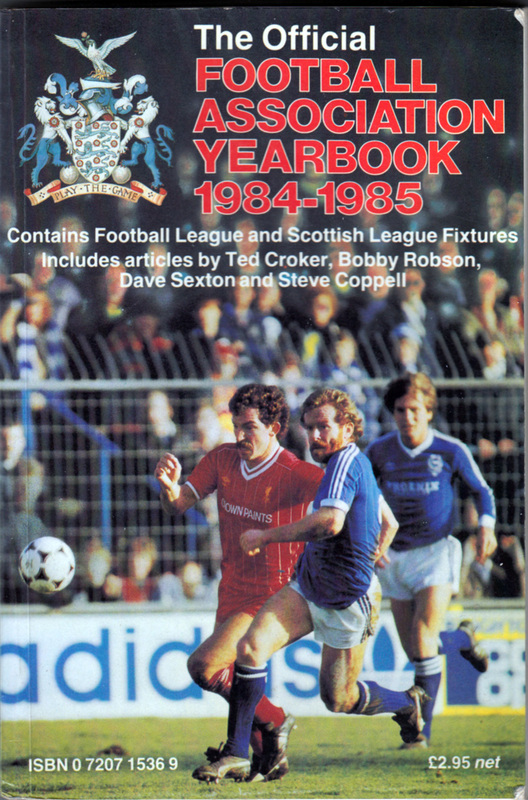 Case sent the magnificent Robinson racing forward for a cross that Ryan side-footed past Brace Grobbelaar. 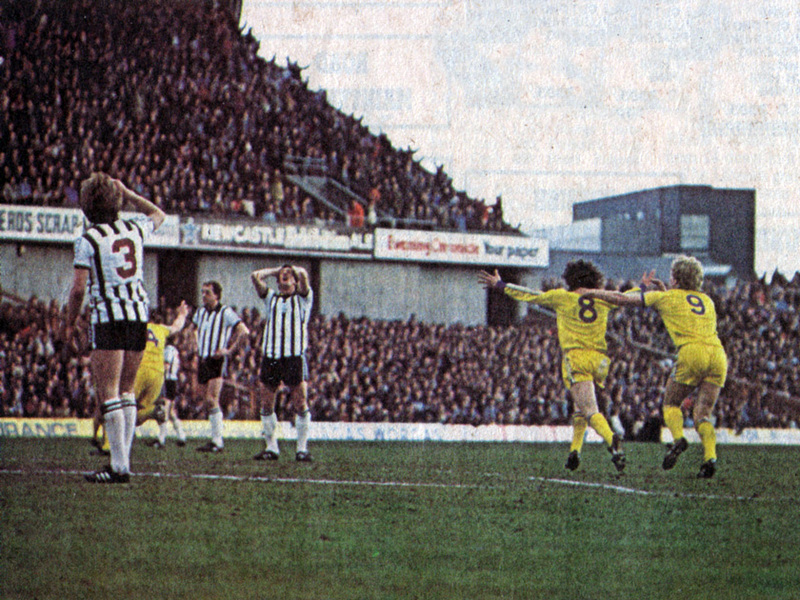 Alan Kennedy hit a post with a thundering drive and Robinson thumped a header against the bar at tne other end before Liverpool equalised in the 70th minute. 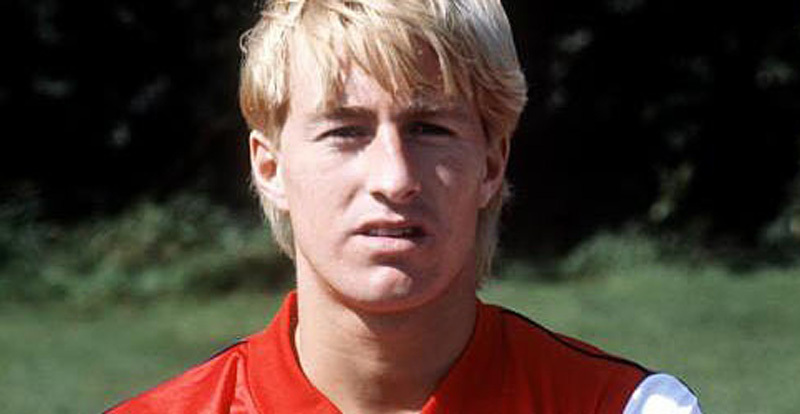 It was unfortunate that young Gary Stevens, who with Foster and Steve Gatting, performed wonders at the back, should assist Johnston’s shot past his own ‘keeper Perry Digweed follov~ng a Kenny Dalglish free-kick. The winner came little more than a minute later. Case got it with a 25-yard drive that was helped by a deflection from a Liverpoot defender. Liverpool’s agony wasn’t over. 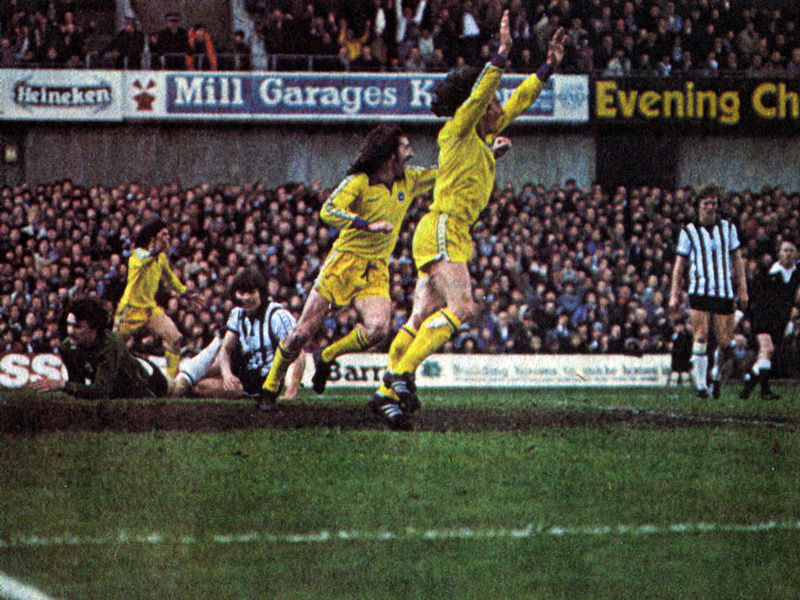 Phil Neal, on his 32rd birthday, shot wide from the penalty spot after Tony Grealish had pulled down Kennedy. Grealish protested so heatedly that he was booked by referee All Grey. “I thought I’d won the ball. It was a harsh penalty,” he said. 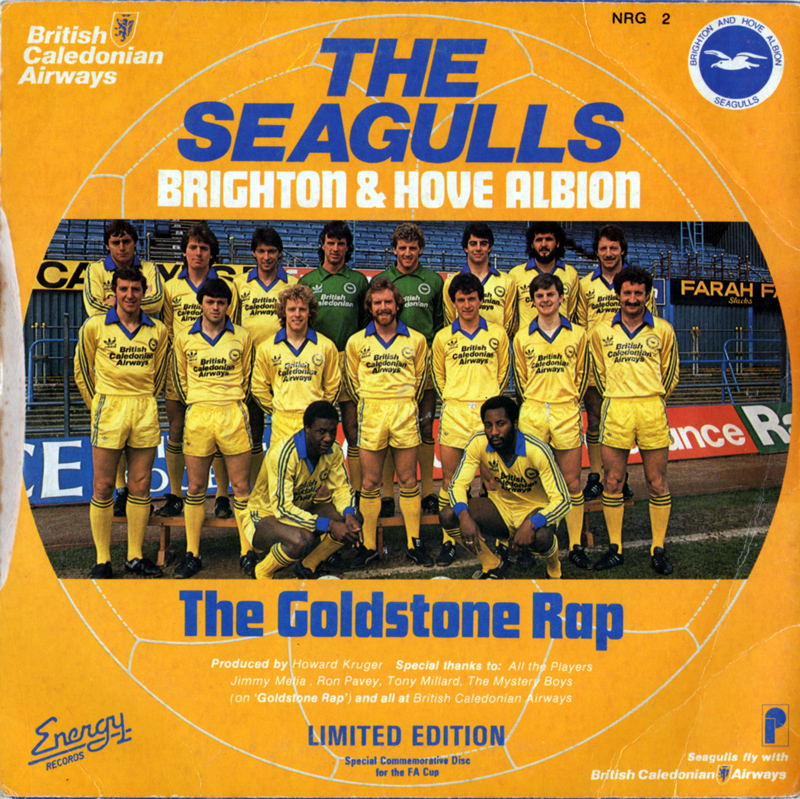 Afterwards Brighton headed for the south coast with their FA Cup ambitions as high as the British Caledonian flight that took them there.